It's so much more than a gym. 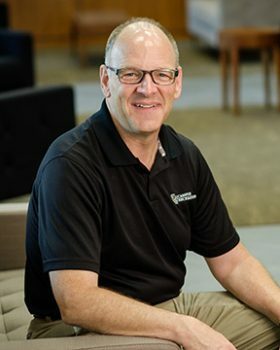 The Reynolds Gym transformation project reflects Wake Forest's leadership among universities focused on enhancing all aspects of personal wellbeing. The 180,000 square-foot hub for wellbeing triples the amount of fitness space available on campus and features a new lounge space ideal for conversation, relaxation or studying. Reynolds Gym now boasts wide open spaces and abundant natural light, a welcome change from the original 1950s design. 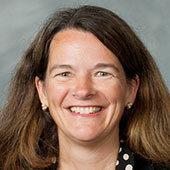 Leadership gifts through the Wake Will Lead campaign made the $58 million renewal effort possible. Two cornerstones now mark the entrance to Wake Forest University’s historic W.N. Reynolds Gymnasium. 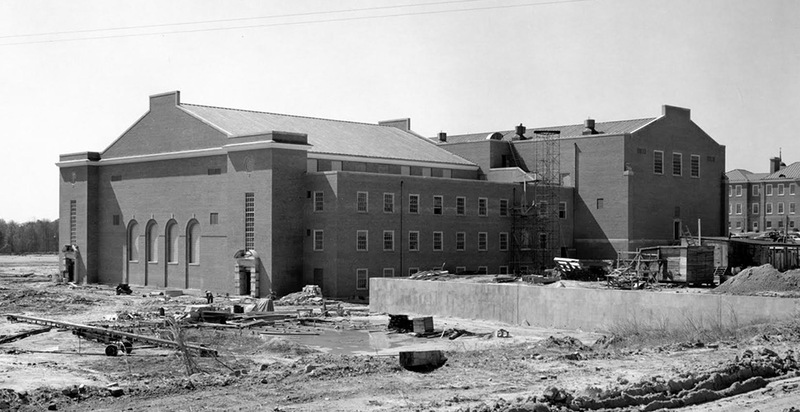 The original – 1954 – shows the year the gym was built. A new one – 2017 – marks its transformation into a dynamic new center for health and wellbeing. As the fall semester begins, the renovated Reynolds Gym opens its doors to the campus community as a comprehensive center for fitness and wellbeing after more than a year of construction. The 180,000 square-foot building features the types of spaces popular with students today: an open living room with floor-to-ceiling windows, group fitness areas with state-of-the-art fitness equipment, and flexible spaces for informal social gatherings and wellbeing-related activities. Donor support through the Wake Will Lead campaign helped make the $58 million Reynolds Gym transformation project possible. The number of students participating in fitness and recreation programs at Wake Forest is greater than many universities with much larger enrollments. More than 60 percent of undergraduate students report using cardio equipment one or more times a week. More than half of undergraduate students report lifting weights at least once a week. Nearly half of the student body participates in at least one intramural sport each year. Taking a gym built in the 1950s – when bi-level and tri-level construction was popular – and creating a place with open spaces and an abundance of natural light presented some design and construction challenges. The comprehensive overhaul began more than a year ago and involved adding steel infrastructure to the building to create more open spaces and change exterior brick walls to glass. 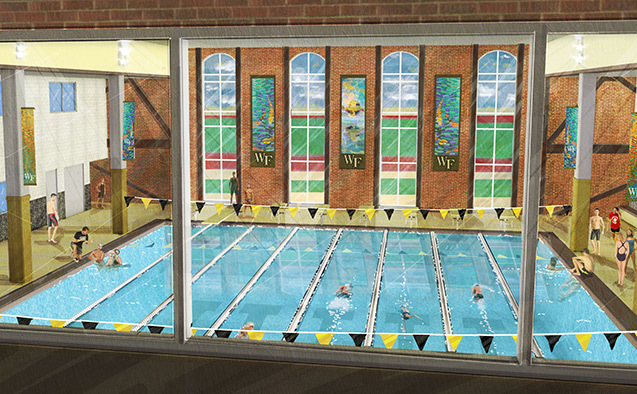 In early planning stages for the renovated facility, Wake Forest students made it clear they wanted Reynolds to be “more than a gym.” So, social space – not a significant feature in many campus recreation and wellness centers – was a priority when redesigning the building. “I am most excited about the opportunity to use the gym as a sort of common area where people can hang out,” said Lance Berry, a senior economics major from Charlotte. “The new gym will bring the campus community together by helping us stay active.” Berry is a member of the club sports leadership team. The living room invites students to rest a moment and take time to think or engage in conversation. Bordered by the Office of Wellbeing, the space is intended for the kinds of casual interactions that build community and enhance campus life. 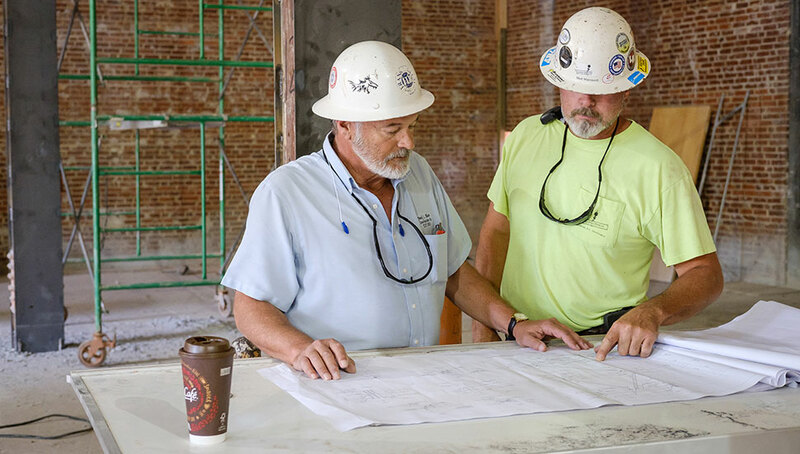 Jim Parham (left), superintendent on the Reynolds Gym transformation project, looks at blueprints. 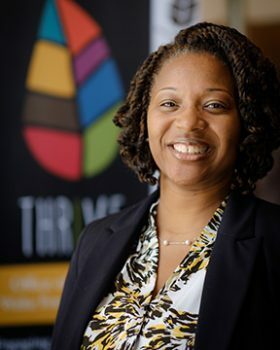 As part of the university-wide Thrive initiative, The Office of Wellbeing focuses on eight areas of wellbeing: emotional, environmental, financial, intellectual, occupational, physical, social and spiritual. Other features include: wellbeing coaches to work with individuals on personal goals, a peer educators program and versatile space for seminars and training. Digital screens throughout the building will provide space to promote wellbeing offerings for the campus community. 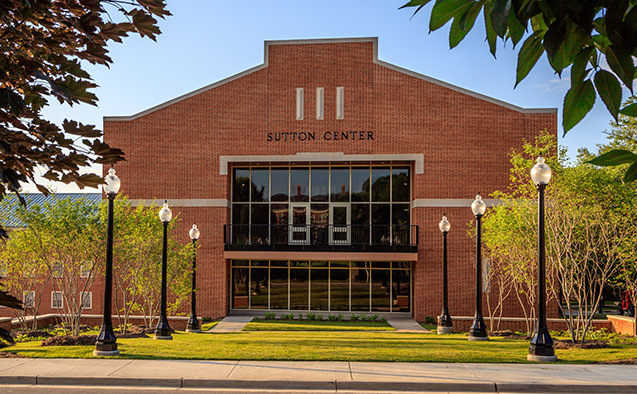 The Sutton Center, a remarkable two-story addition to the 60-year-old gym named for WFU alumnus and IMG College co-founder Ben Sutton, was completed in 2015. 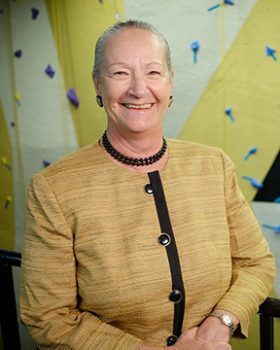 It was the first of three planned phases to turn Reynolds Gym into a hub for campus-wide wellbeing and provides 46,000 square feet of space for fitness programming and campus activities connected to Reynolds Gym by a floor-to-ceiling glass atrium. The final phase of the renovation and transformation project – scheduled for completion in spring of 2018 – will add a larger pool, a varsity gymnasium for the volleyball team, group fitness studios, a cycling studio and multipurpose space for intramural and club sports.